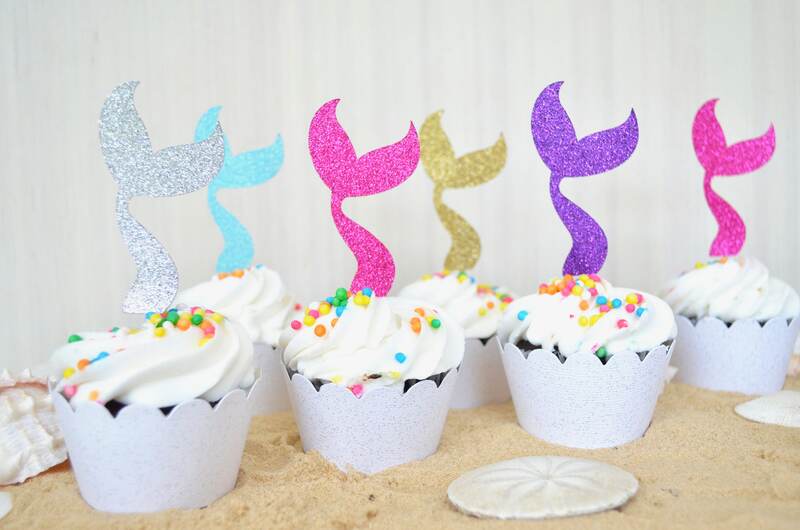 Glitter Mermaid Tail Cupcake Toppers - Sets of 12, 24, 30, 36, etc Colors include gold, silver, hot pink, purple, light blue, and many more! 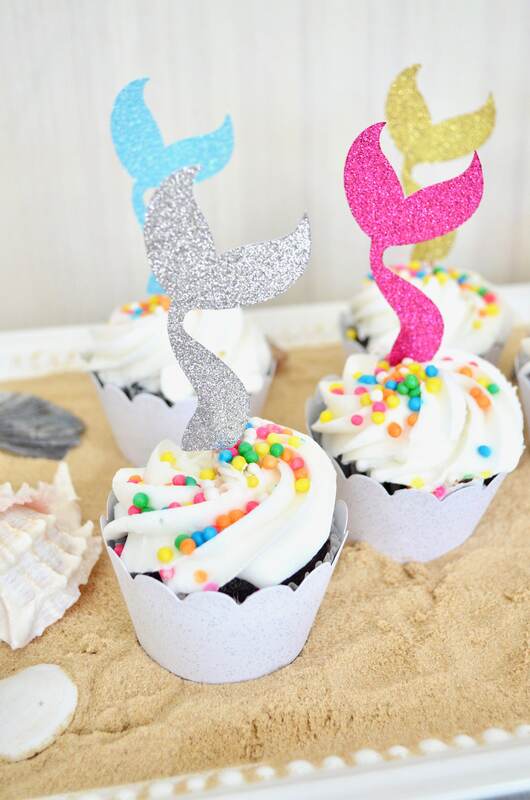 Dive into a world of adventure with these simple, yet beautiful mermaid tail cupcake toppers. 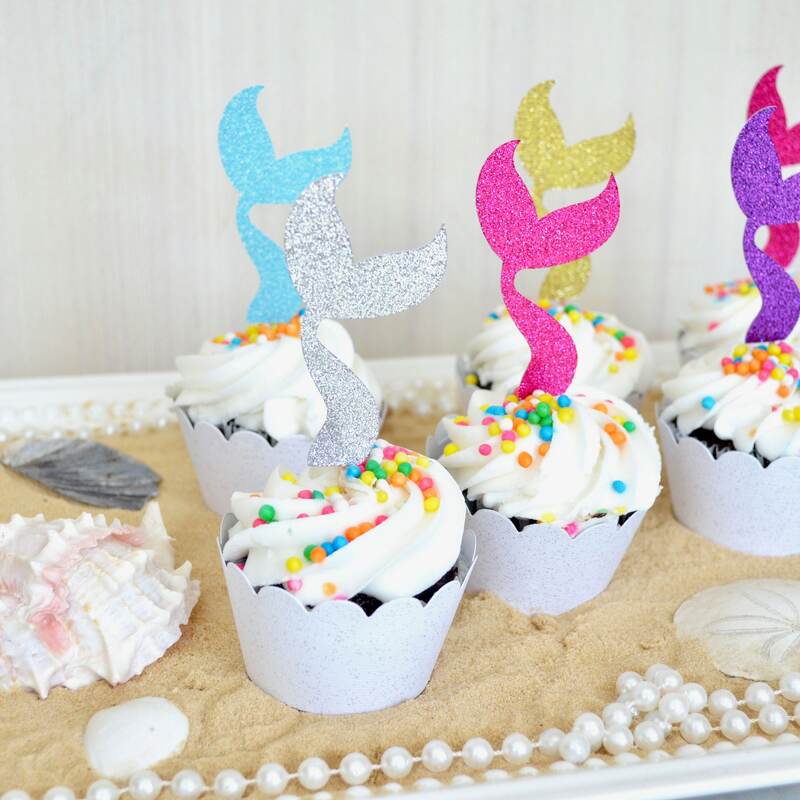 Each topper is hand constructed using premium glitter card stock and is double sided to look great from both sides. 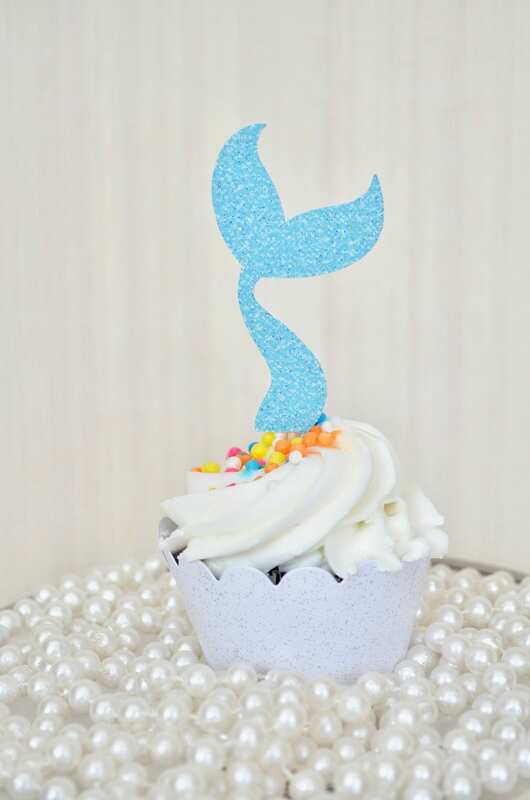 Each mermaid tail is 3" tall base-to-tip and about 1.5" wide at the widest point. 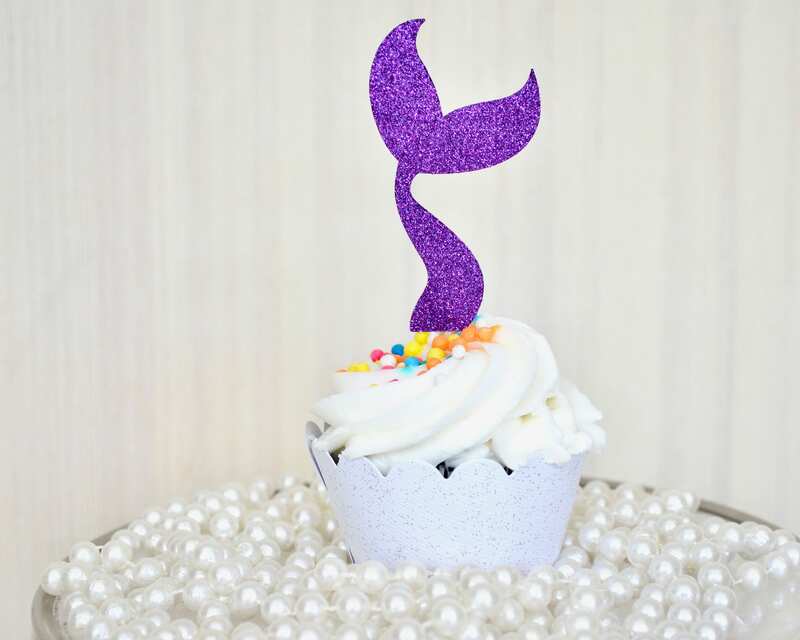 The mermaid tail is easily secured to the cupcake using a food grade toothpick. 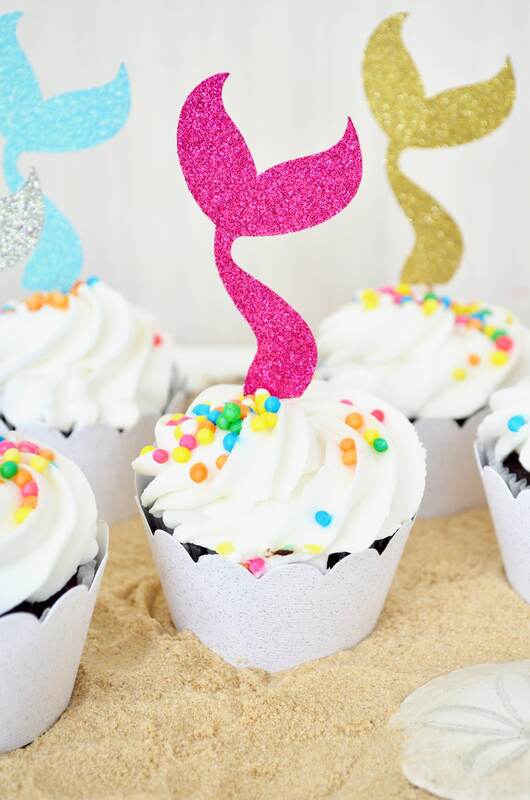 If you would like multiple colors, use the drop down menu to select "Multiple Colors" and then leave a note with your order about what combination of colors you would like. 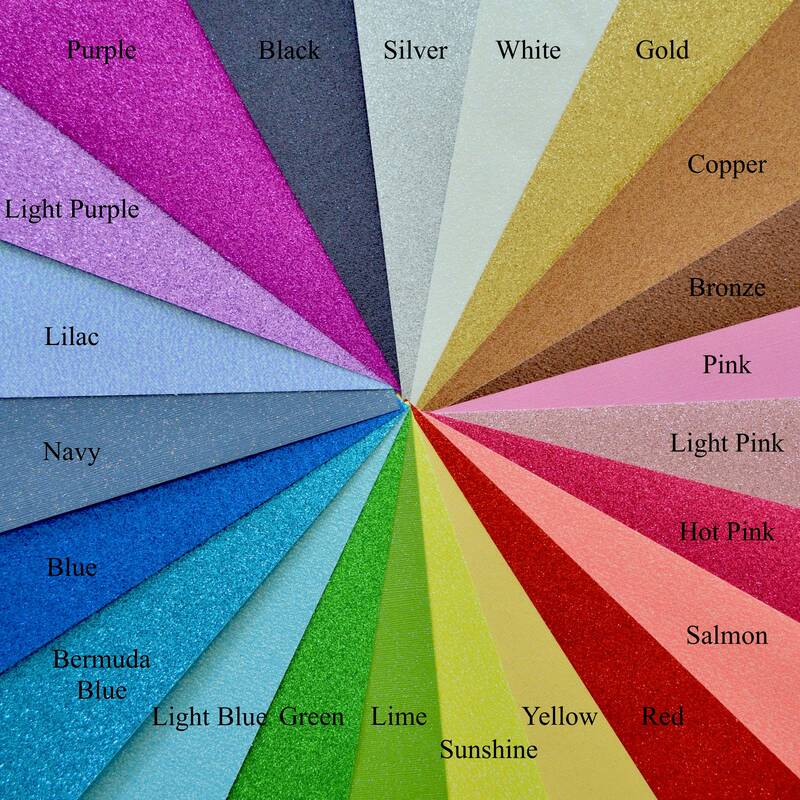 We will do our best to use only those colors. 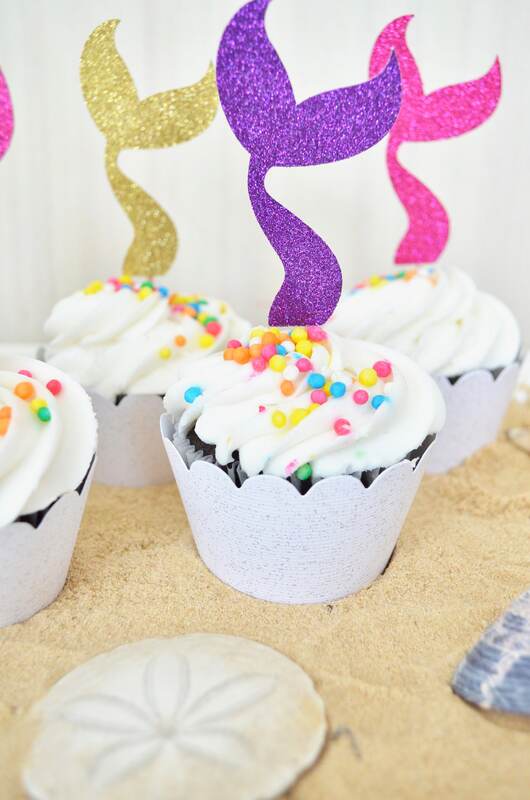 Each topper is created in our smoke free, pet free, peanut free studio. 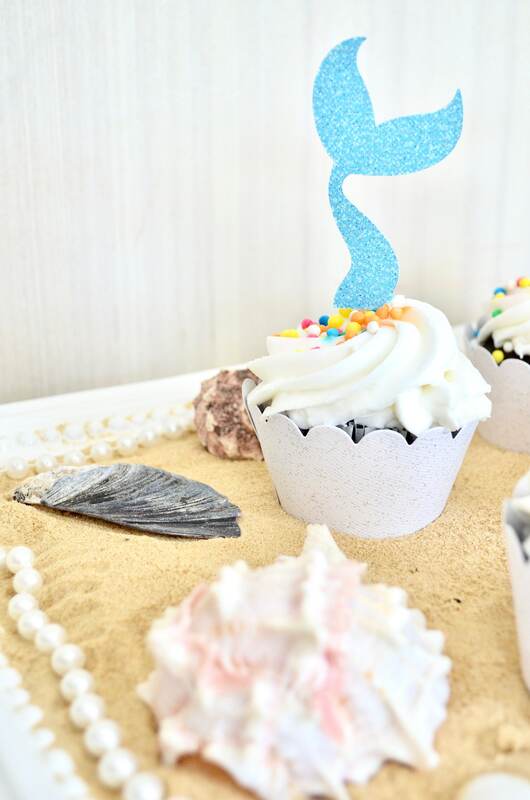 These were great and so cute for our party! 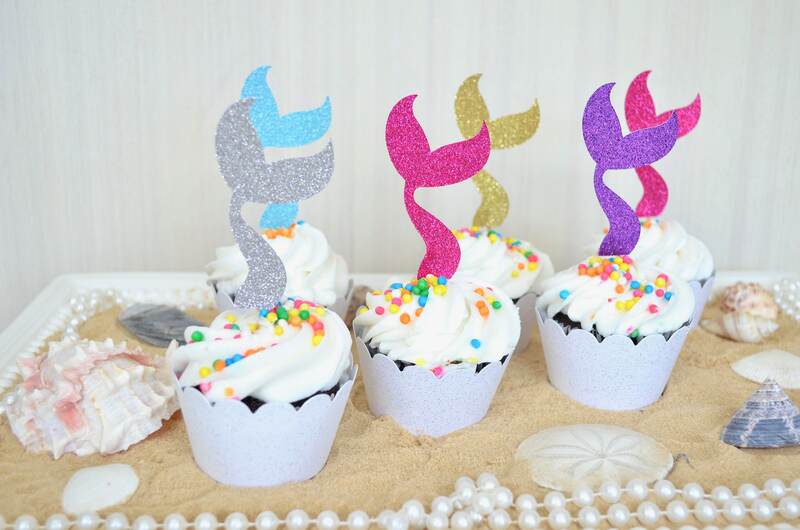 Well made and looked beautiful on our cupcakes! Also great customer service and quick turn around!